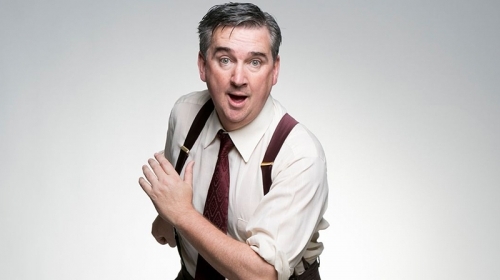 Damian Callinan is an award-winning standup comic, TV sketch show performer, broadcaster, actor and writer. He is best known to TV audiences for his roles on Skithouse, Before The Game and Comedy Slapdown as well as being a regular guest on Spicks ‘n Specks. He is also a fixture on The Melbourne Comedy Festival Gala and is a regular on 774ABC. Damian is an accomplished and hilarious MC and fabulous comedian. In 2010 he received a 3rd nomination for the prestigious Barry Award at the Melbourne International Comedy Festival for ‘The Merger’ which toured nationally in 2011. The Merger will continue its course around the country in 2012 and a TV version of the show is in early development. This followed a national tour in 2010 ‘The Cave the Rave – A Comedy Dance Lesson,’ which saw him win the ABN Amro Foreign Exchange Award to perform at the Edinburgh Fringe. In 2011 Damian also appeared in the State Theatre of South Australia production of ‘The Complete Works Of William Shakespeare – Abridged.’ The season at the Adelaide Festival Theatre was followed by a regional tour of South Australia and the play will be remounted for a national tour in 2013. Damian has performed in 3 previous productions of ‘The Complete Works’ including 2 seasons at the Sydney Opera House. In 2012 Damian’s new solo show ‘Robinson Crusoe’ premiered at The Adelaide Fringe Festival before going onto a critically acclaimed season at the Melbourne Comedy Festival. He is about to head off on his 10th tour of the Melbourne Comedy Festival Roadshow in Australia and Asia.’ His first novel ‘Borrydale’ will be released later in the year. Troy is undoubtedly Damian’s most popular corporate character. 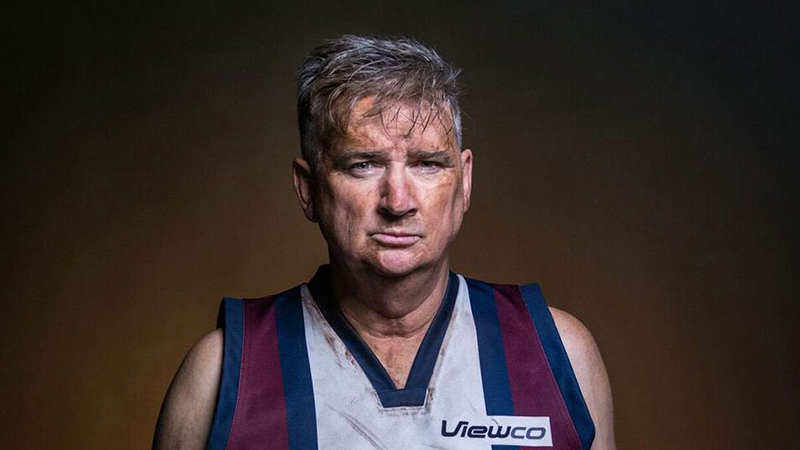 After playing bugger all games at 4 clubs over 7 years, Troy Carrington has taken to coaching in the bush and running Bodgy Creek’s only alpaca farm slash organic winery. However Troy also fancies that he can make a bit of extra coin on the public speaking circuit. If you’re after an after dinner speaker with a difference, Troy is the ideal choice. He initially presents himself as a typically inarticulate country boy, however as he begins to regale stories of footy trips; talent nights and pre-season bonding activities Troy reveals a much more sensitive; cultural persona. Post-season footy trips to Prague to follow the Mozart trail to Vienna and using Elizabethan verse out on the field to confuse the opposition. These are the unlikely offerings of Troy as he shares his career highlights. Internationally renowned maestro just happened to be in Australia for whatever High Art event that is on the calendar. Your opportunistic even host has enquired as to his availability as after dinner speaker at your event and Klaus has obliged. Within seconds of him taking the lectern it obvious Klaus has taken the gig reluctantly as he takes the torch to Australia, the state, the city and the organisation that has booked him. Ideal for arts industry events or anyone who is happy to have the Mickey taken out of themselves Klaus is happy to tailor his acerbic tongue to your needs.